This bar has long been sleeping on my stash of soap. I had myself purchase this from Zalora together with the Belo Essentials AcnePro Kit right away after Belo released this for review purposes. But I went hiatus on using different soaps because I am getting lots of breakouts back then and I assume they were from incompatibility of the current and the previous. By then, I decided I wanted to stick to a certain skin care set first. 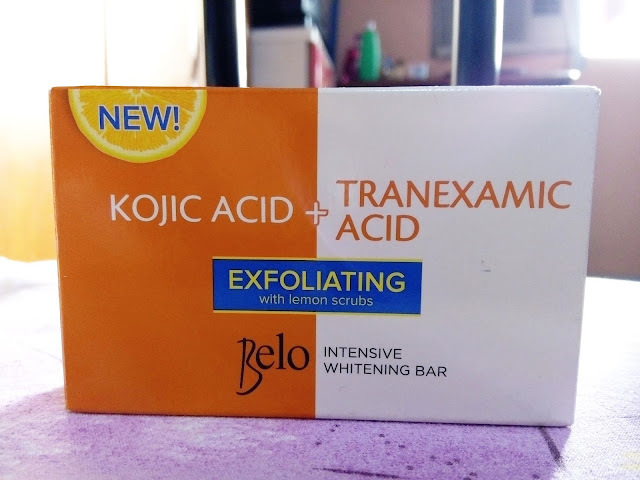 I believe this is the latest in their whitening skincare line which triggered my curiosity on its effectiveness knowing that Belo only releases effective products in the market. 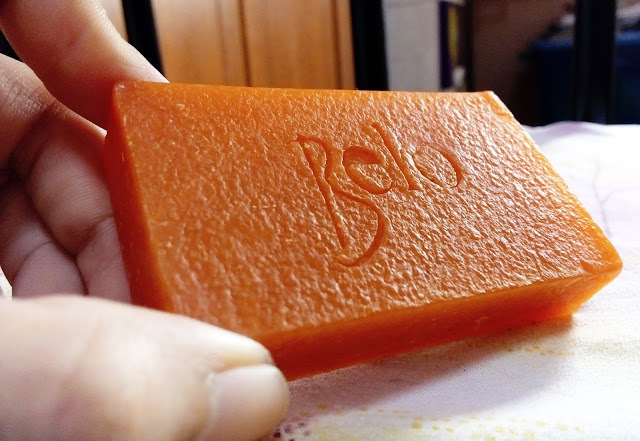 As you can see, this soap comes in a bar the same size as the other Belo Kojic Soap except that this one has exfoliating lemon scrubs which makes it a scrub and soap in one. This is best for those who are in a hurry because they can already skip off scrubbing with this bar. This soap smells okay, well, neither plain nor strong, just okay. 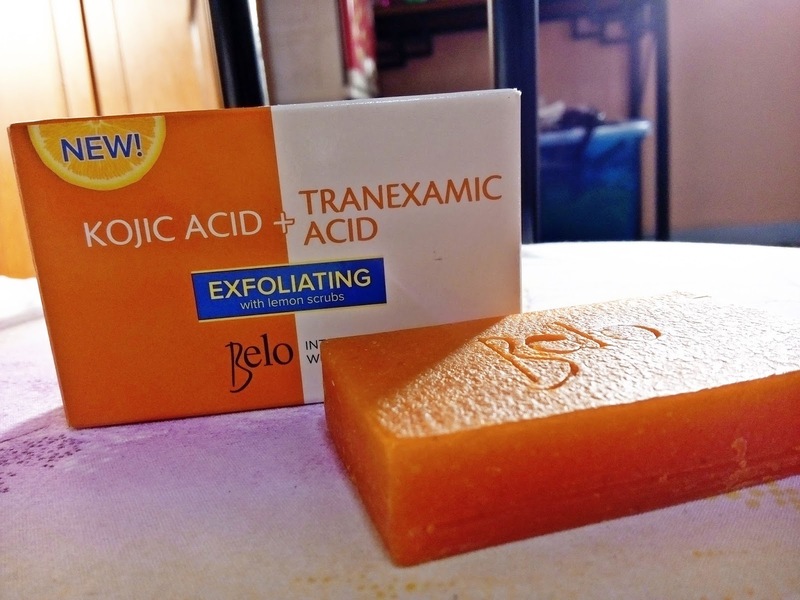 It also dilutes easily on wet soap dishes like other Kojic soaps so you better put it on a dry place away from shower after use. This will prolong the life of the soap and allows you to use this for a longer period of time. Are you familiar with Tranexamic Acid? Well, it sounds alien to me so again, just like what I always do, I conduct a not-so research about it and here's what mcbiotec.com says: Tranexamic Acid is for whitening and preventing pigmentation, inhibiting and improving skin roughness and is safe for pigmentation after sun exposure, dark spots, sensitive skin, acne and inflammation and postoperative care after laser, pulsed light treatment. Okay, now I know. Basically, it's still for skin lightening. A lot of reviews claims that there were slight stinging and itchiness upon use of this soap. However, I did not experience any of those even both on my face and body. Some also claim that this deliver micro peeling effect. No such thing in my experience. Is it because I do not let this product stay on my skin for minutes? Or am I covered with layers of dead skin cells that the actives in this soap fail to penetrate through my skin? Lol. But seriously, this soap did not sting on me. Although could be a little bit drying so moisturizer is a must. It would be best if you wear sunscreen afterwards as this product can increase your skin's sensitivity to the sun. After finishing this bar, there was minimal, almost unnoticeable change in my skin tone but I have to admit that it became softer and smoother, brighter and more radiant now than before. I also have to say that this soap is compatible to the lotion which I am currently using and the one which overlapped with the counterpart soap of the lotion (Gluta-C products). 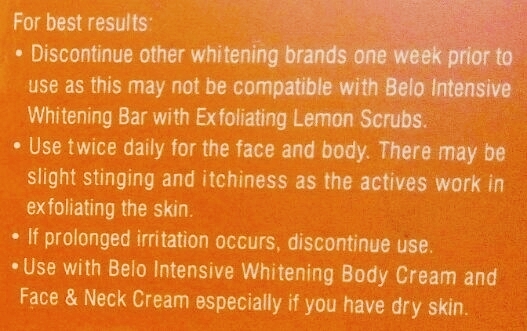 For better results though, use Belo Intensive Whitening Bar (Kojic + Tranexamic + Exfoliating Lemon Scrub) in conjunction with other Belo products to avoid incompatibility problems just to be sure. Overall, despite few downsides, I am still willing to repurchase and give this product another try. It's not like this product feels like it cease to exist. 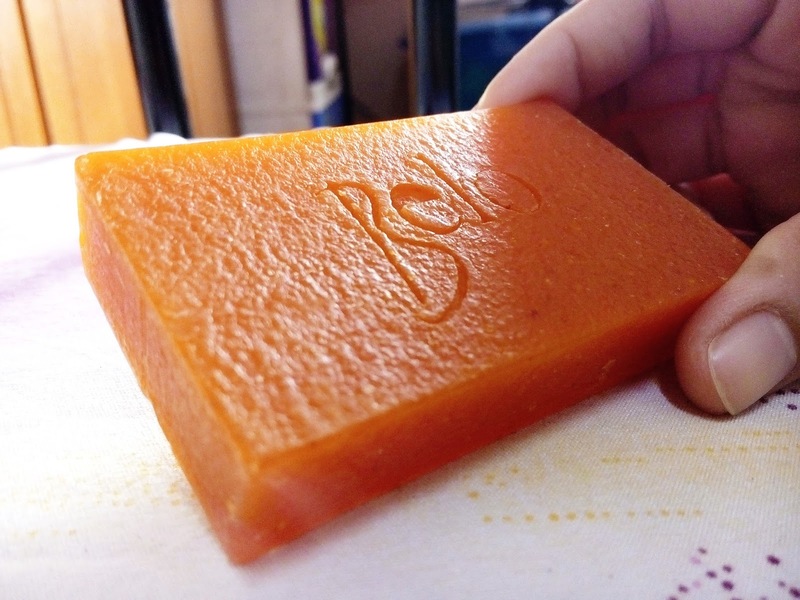 I have tried lots of drying soaps but they can be resolved with moisturizers. It melting easily is something which is not new to us anymore. I mean Kojic Soaps melts easily, right? It could probably be their nature. I got used to it a long time already and even if it's one of the things I dislike about it, it isn't an issue anymore. And the effect of products, as we all know, requires patience to be able to see remarkable results. It's not like as if their is an existing product that could lighten our skin overnight and permanently, right? The point is, let's give some products a chance to be tried especially if you are equally interested because you never know where treasures are! Til my next post! Happy blogging!